I haven’t been posting many food posts, certainly not like I did in the past. I’m lazy, even w/ this one. I omitted important pics. 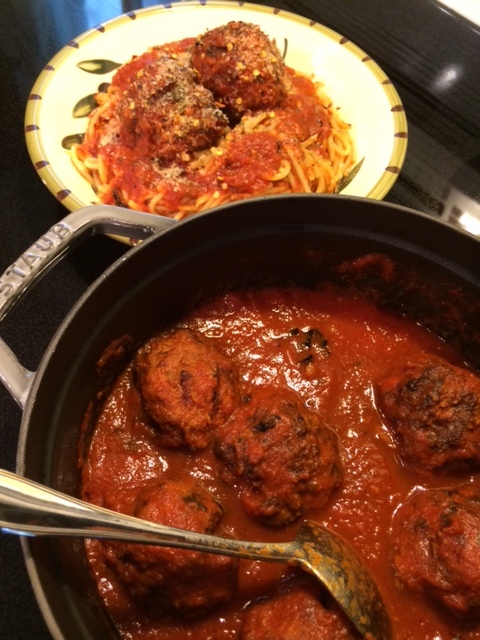 It’s my home made sauce, and hand made meatballs – I play around and tweak them ever so slightly occasionally. This time, instead of breadcrumbs I used day old bread. I put the loaf out on the counter to make it more stale (drier, easier to work with), and then broke it up, crumbing it. I also grilled the meatballs on my Weber grill using hardwood lump charcoal. I did it not so much for the flavour, I mean it definitely adds a different dimension … my main motivation was not wanting to create a splattering, greasy mess in my kitchen which I’d have to clean, and this worked beautifully browning (blackening really) the meatballs. And, yes this is the glory pic that is missing. Then it was a matter of tossing them into the sauce, simmering for an hour or two. Oh, I also used Barilla extra long spaghetti (comes in a bag, not box) for fun too! 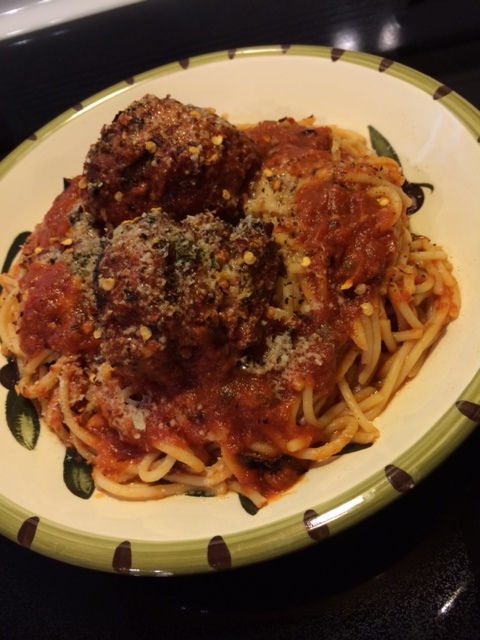 Categories: BBQ, food, life, luck, musings | Tags: Barilla, bbq, hardwood charcoal, hardwood lump charcoal, lazy, meatballs, spaghetti, Weber | Permalink. said it before, will say it again – GREATEST show on TV bar none!! greatest writers too!! Categories: quote, TV show | Tags: Amy Acker, Harold Finch, Jim Caviezel, John Reese, Michael Emerson, Person Of Interest, Root, Sameen Shaw, season 4 preview | Permalink. I like pushing/testing myself. So, after a 30 minute 6K, sprinted as hard as I could for the last kilometer. 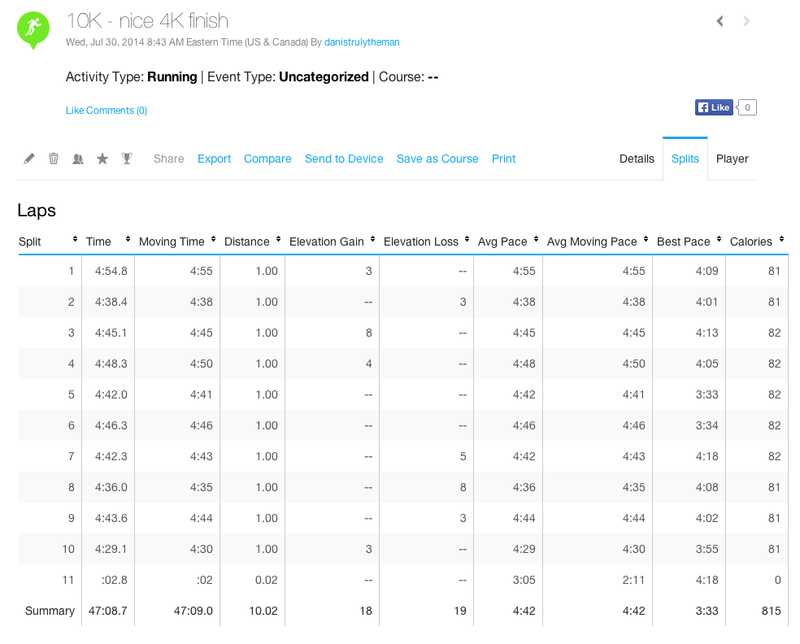 The result; sub 4 minutes – 3:56 … wow! 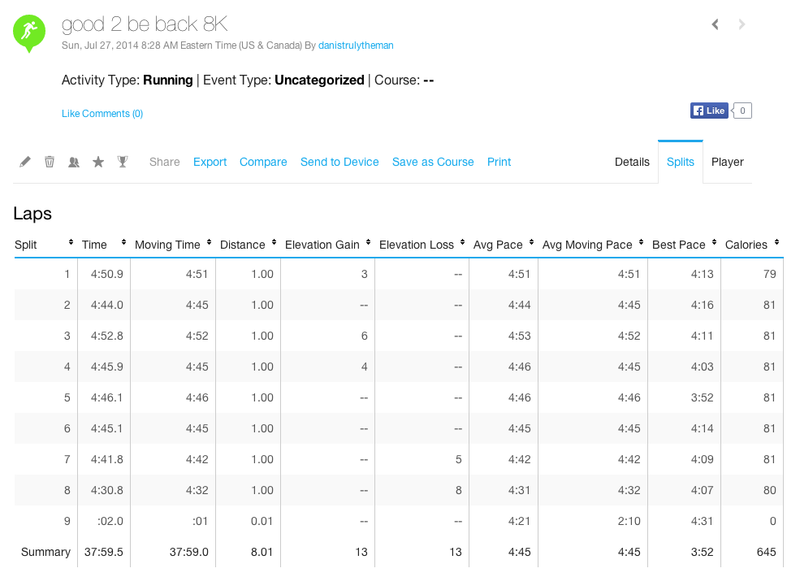 Made me think back to last year’s runs … I think the fastest I ever ran 1000m was 3:53, maybe 3:50 … and that was w/ fresh legs and lungs, making this time even more impressive! Wow, indeed!! 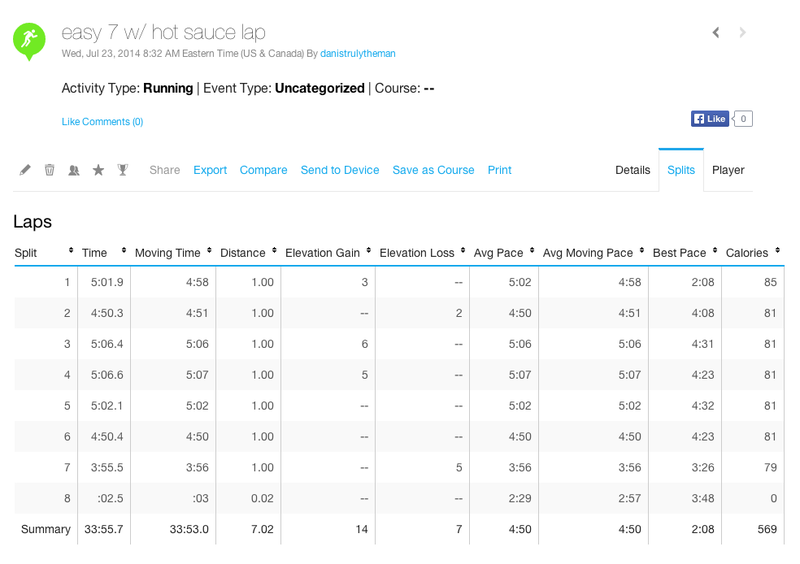 Categories: running | Tags: 7K, Garmin, running | Permalink. Categories: life, luck, music, musings, songs | Tags: great song, Open My Eyes, Rival Sons | Permalink.